Directorate of Elementary Education, Assam Are invited to online application form for the Grade IV Peon and Night Chowkidar DEE, Assam Recruitment 2019. 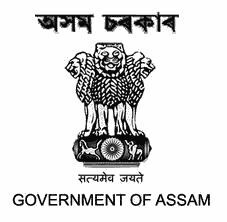 Those candidates are interested to the following DEE, Assam Jobs can Read the full details before Apply Online. Scale of Pay: Pay Band-I @ Rs.12,000/- Rs.37,500 + Grade Pay Rs.3,900/-per month plus other allowances as admissible under rules. Age Limit: Must not be less than 18 years and not more than 44 years in respect of General/ Unreserved Candidates, 47 in respect of OBC/MOBC Candidates and 49 years in respect of SC/ST(P)/ST(H) and Persons with Disability (PwD) as on 01/01/2019. Application will be received only online in the official website of the DEE, Assam, i.e. www.dee.assam.gov.in from the Midnight of 8th March, 2019 to the Midnight of 30th March, 2019.